Providing you the best range of frp pigment paste with effective & timely delivery. We are one of the leading manufacturers of FRP Pigment paste. We provide Users a wide range of distinct colour shades of colors like DA Grey, PO red, Ice Blue, Golden Yellow, Ocean Blue, Ivory, Leaf green Etc. These pastes are formulated by our deft professionals using a specifically formulated, monomer-free unsaturated/non- styrenated polyester resin and advanced processing techniques as per the set industry standards. Offered pastes are widely acclaimed in indian as well as overseas markets for their attributes such as longer shelf life, color fastness, purity and accurate compositions. 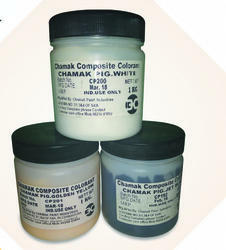 We offer these FRP Pigment Pastes at market leading prices. All the colours are manufactured to a tolerance of CIELAB D.E.0.5 from a master standard. Looking for FRP Pigment Paste ?